When it comes to your pet, there’s nothing you won’t do to make sure they’re comfortable, happy and healthy. Your pet, whether that’s a dog or cat, deserves to live a life that’s loving and exciting, but if your pet has come down with an illness or injury, a veterinary hospital may be exactly what you and your pet needs to keep on keepin’ on. With that being said, we want to have the knowledge in case your pup needs help from our vets here at Sun Valley Animal Center. Pain can occur at any time, at any age and for multiple reasons. If your pet is in pain, there are a variety of signs to look out for, including panting, restlessness, agitation, pacing, aggression and a rapid heart rate. If your pet is experiencing spinal pain, it may show with another symptom, such as abdominal pain. Regardless of the symptoms, if your pet is showing signs of pain, or you suspect it, give our veterinary hospital a call. If your pet’s airway is compromised, increased respiratory effort typically occurs. This may happen due to allergic reactions, trauma, toxins, heart failure, cancer, infectious agents or a leakage of air. If your pet is having difficulty breathing, it is considered a serious problem and contacting a veterinary hospital is critical. To determine what is the cause of the breathing problem, X-rays will most likely be required. When your pet has a seizure, you’ll likely feel helpless. It’s not only scary to experience your pet going through a seizure, but it may be somewhat traumatizing. A seizure is described as an episode of abnormal electrical activity within the brain, and it can be triggered by a variety of intra-cranial problems including brain tumors, epilepsy and brain swelling. There are also a variety of extra-cranial problems that could induce a seizure, including electrolyte disturbances and low blood sugar. If your pet has a seizure, it is considered life-threatening. Additionally, seizures may affect your pet differently, meaning, they could occur in clusters, singly or at any time and in any frequency. If your pet has a seizure, immediate veterinary assistance is recommended. Have you noticed your pet is struggling to urinate? Straining to urinate may be due to a minor problem, such as a urinary tract infection; however, if you notice your pet really struggling, they may have a more advanced and painful problem, such as crystals or stones in their bladder. Keep in mind, though, there are multiple reasons your pet may have issues urinating. These reasons include blood clots, cancer, inflammation and stress. So, if you notice your pet is having a difficult time urinating, make sure you address the issue with our veterinary hospital immediately. Vomiting and diarrhea may not seem like a serious issue, but if your pet is constantly vomiting or experiencing diarrhea, you must reach out for help from a veterinarian. Why? These are symptoms of problems within their gastrointestinal tract that could be pointing to a bigger issue, such as metabolic disease and cancer. However, vomiting and diarrhea may happen due to many other issues, such as garbage or having an obstruction. Call our veterinary hospital for more information. Obviously, if your pet is choking, call our office in Boise immediately at 208-726-7777. However, if you want to be aware of what to watch out for in your pet, it’s coughing and choking. Both of these actions are not only dangerous, but concerning. Coughing and choking occur due to a blockage or lack of oxygen. If your pet is sick with a virus or fungal pneumonia, they’ll be at a higher risk o f developing a cough; however, these actions are just good to be aware of. 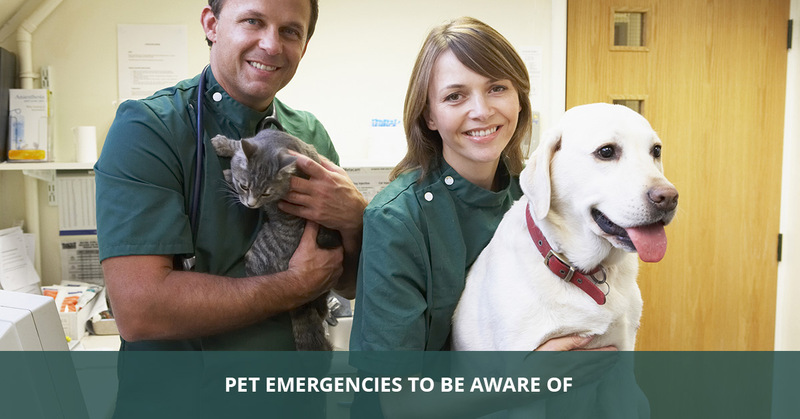 Trust our veterinary hospital in Boise to help your pet out when they have a medical emergency. We encourage you to join us online to learn more about our services, or veterinarian’s experiences and more. Contact us online today to set up an appointment. As always, feel free to call us at 208-726-7777 if you have any questions or concerns.